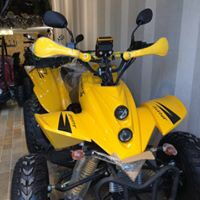 I'm looking to buy new atv which is by far double the size of my atv, However it is chinese and there is no brand name atv dealers in place i'm living. 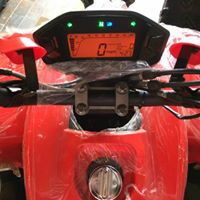 The atv engine (as said by the dealer) is GY6 200 cc which is bigger then my previous which is 125 cc CDI engine, It comes with automatic transmission like most chinese atvs but with kickstarter unlike mine. it looks much better made and that engine looks very nice. I know chinese atvs are usually pain i dealt with the first so i know they have a lot of issues, So i already saved extra money for future repairs. The price tag for it is 1700$ which i bet it can go down to 1500$ which is good enough for me. Now i'm thinking of buying one of these, also there is red one which has bigger wheels but same engine. Which one you think i should upgrade to? The yellow is the one i most likely to buy, But red one looks extra pretty. Some more info would be helpfull as far as make? Personally I wouldn't entertain buying a new Chinese bike over about 100cc. The problem with almost all is zero spares back up and poor build quality. Whilst anyone who can wield a spanner can make up for the loose nuts and failed parts due to incorrect machining, where do you get those parts from? I bet if you asked the person selling those machines for a new front steering ball joint they wouldn't be able to supply one. Don't know US prices but I guess that you could find a very tidy used Honda Recon, Yamaha Timberwoolf, Suzuki Ozark or Kawasaki 250 for that sort of money. 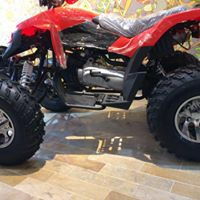 They are actually same size just as you said, more ground clearance, the gauge setup on red one is same as my current atv which is good. I don't have much info but can you be specific in what you need? 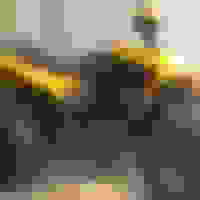 The same atv but without the gauge and different rims, As far as i know they have all info on it. About spare parts, They are pretty much everywhere, There is around 5-7 atv dealers which all sell chinese atvs, they have rims, wheels, and other atv stuff. My current atv uses the same parts the normal motorcycles use, so finding it parts was easy, only trouble when i somehow lost my brake pads and had to buy new one after 3 days. I would've went to raptor 700 but getting this thing spare parts would be nightmare, since the dealer himself doesn't have most spare parts, Which probably why he is selling it at that cheap price. i would be more then happy to get brand names, specially yamaha raptor 700R and can am renegade 1000 xmr my two favourite atvs. Rather than walk away, I would RUN away...your just throwing your money away. These forums are full of people that thought they could get repair parts...now they are crying as there machinejust sits there not working! Sorry, when you quoted $ prices I assumed you were in the US. If there isn't much in the way of used stuff in Iraq you will have to buy that sort of machine, but find one with a spares back up in your country, or like Kymco450i wrote, you will have a machine you can't use when some small part breaks. Same size machine but i would bet the red one has a wide front end by looking at the pics.. I spend my working life fixing failed quads, and hate it when any Chinese machine turns up. Why, because getting whatever small part it needs is going to be a nightmare. doesn't matter if they are more or less reliable than a Honda, if you can't get the parts you are stuffed. Last one that required fixing, sheared king pin, no name ATV, stub axle/king pin unlike any other, had to machine a new one drill through the hub (it was part of the hub) and fix it with a high tensile bolt through both king pin and hub, took a lot of time and won't be as strong as it should be. At the moment have a Quadzilla in, faulty ignition. Good spares back up with that, as there is one proper supplier in the UK and their website has been down for the past fortnight, so can't see the part numbers to order the right part. 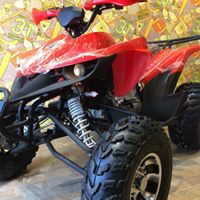 Quick Reply: 200 cc sports atv is it worth it? pictures included.